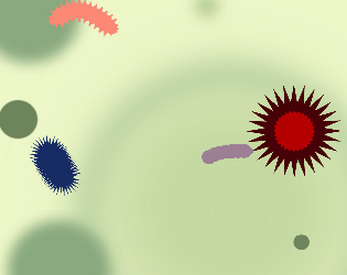 Vector-based bacteria worm guys squirm around! click them! don't let them touch the red guy!